For banners that grab the attention of passers by, select Hampshire Flag's Wall Mounted Arms. Designed to ensure banners are displayed effectively at height, these high quality stainless steel arms offer versatility and durability. Choice is key and with six widths to select from - 42, 52, 62, 72, 82 and 102cm, and either stainless steel or aluminium finish, there's a Wall Mounted Arm to suit almost every size banner. 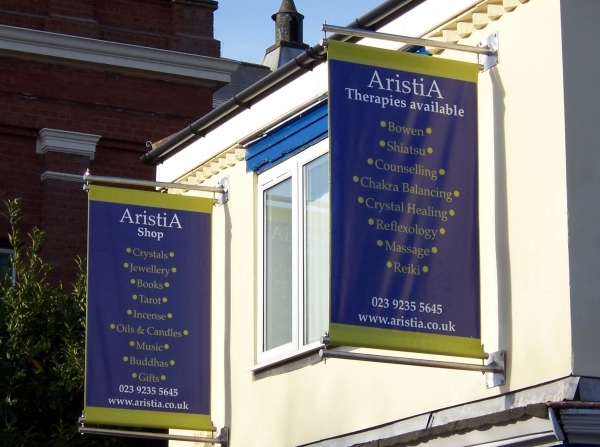 Fitted with a tensioning bar system as standard, Wall Mounted Arms ensure banners are kept taught and are presented at their best - at all times. Hampshire Flag offers a UK-wide installation service if required. Make banners work for you with the Wall Mounted Banner Arms. Our wall mounted banner arms are made from stainless steel tube with tensioners top and bottom keep the banner taught. This system was designed to allow the banner to be displayed as it was intended.